The soil pH is a critical measure of how efficiently your camellias will absorb nutrients from the soil. Many expert growers think that the optimum pH for camellias is around 6.5 - just slightly acidic. In many areas of the "Camellia Belt" the pH is often in the 4 - 5 range - much too low. There are many ways to spread the limestone on your beds. It can be done with a fertilizer spreader or you can just "Sling it". The pulverized limestone tends to clog up inside spreaders which requires that you unclog it from time to time. Limestone can be applied at any time of the year. Manufactures suggest that you never apply limestone at a rate greater than 50 Lbs. / 1000 ft2 at one time. If you require more than 50 Lbs / 1000 ft2 to obtain your desired pH, it is suggested that you wait at least two weeks between applications. It is also suggested that you immediately water it in when you apply limestone. This yields faster absorption into the soil and also cuts down on limestone dust, especially for the pulverized version. Depending upon the time of the year, it can take anywhere from a couple of weeks to 2 months to get the results back - winter is fast & spring is slow. You can check to see if your results are ready by going online at PALS Agronomic Services Division. Just type in your Last Name and click on "Search" to see if your results are ready. Results can then be downloaded. 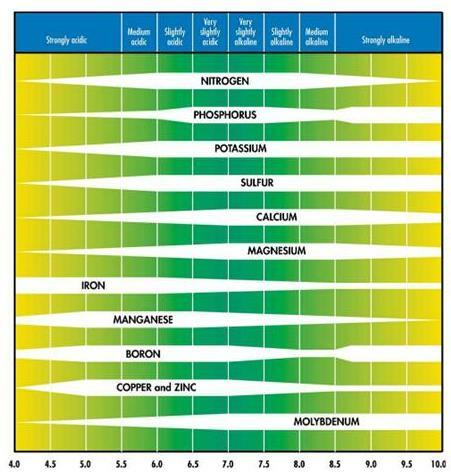 For the purposes of this discussion, you should look for the pH levels (7th item from the left) for each of your samples - see below. Most of the other states in the "Camellia Belt" have comparable services. You can go to the below websites and see what you need to do in your state and what fees you will have to pay. To facilitate the calculation of your limestone needs, a Limestone Application Calculator has been developed. It incorporates the above tabular information as well as information about your camellia beds to calculate how much limestone you need to apply to each bed and how much overall limestone you need to purchase. It is suggested that you open up the Limestone Application Calculator to understand the following. The second spreadsheet, pH vs Application Rate, is just the data from the above table. The purpose of the first Spreadsheet, Limestone Requirement, is to help you calculate your limestone needs. Input data are in Columns B, C, D, F & G. Column B is just a description of your camellia bed. If no information is input in a cell in Column B, no calculation is performed for that area. Column C & D are used to calculate the area. If your area is not rectangular, use these two parameters to estimate your area - This is not rocket science. Column F is the type of soil you have. You must choose 1, 2 or 3. 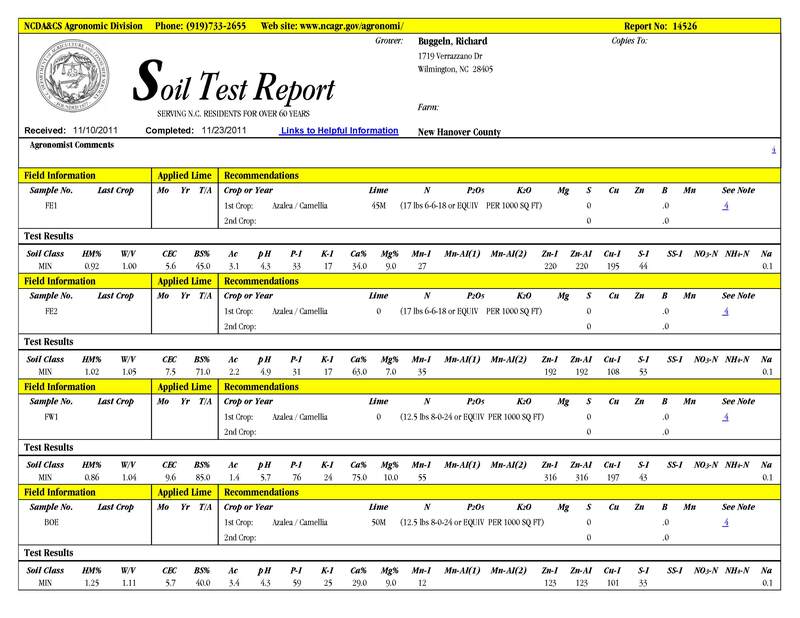 The input data in Column G are the pH levels from your soil test. Values of pH MUST be between 4 and 6. Column E data are the "Effective" area of each camellia bed. Column H data are the interpolated values from the above table for a given pH and soil type and Column I data are the total application weights in pounds for each area. When the application rate exceeds 50 Lbs / 1000 ft2 the applications are broken up into as many as four additional applications - Columns J through M.
Cell C13 tells you how much total limestone to purchase - in this case 989.51 Lbs. or about 25 bags. Don't forget to water things in!